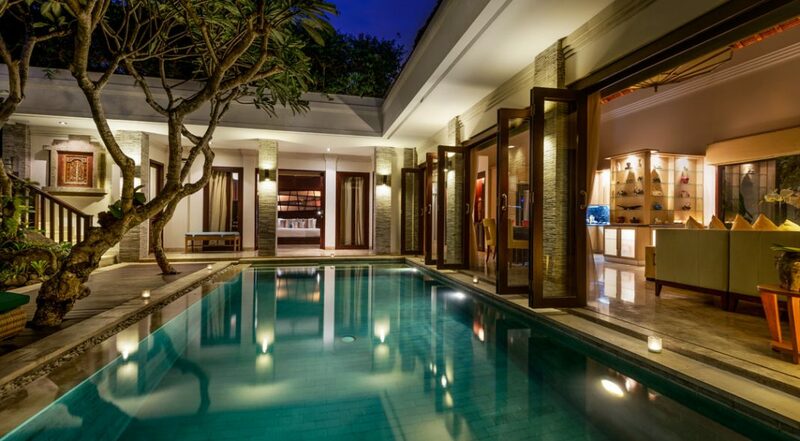 Villa Siam is an affordable & great value 3 bedroom Seminyak villa holiday rental. 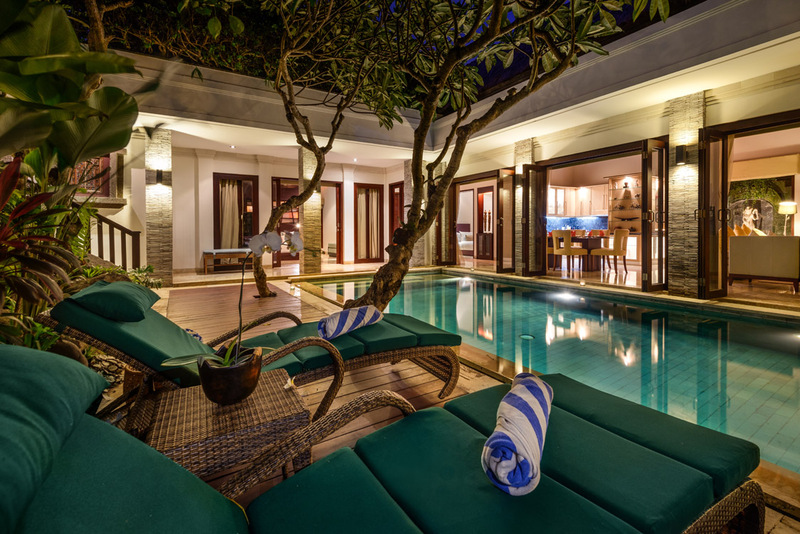 Villa Siam is located in a secure private villa estate ( The Residences), just a 5 min stroll to ‘Eat Street’ where you can wine & dine and explore all the boutiques, restaurants and coffee houses with ease. 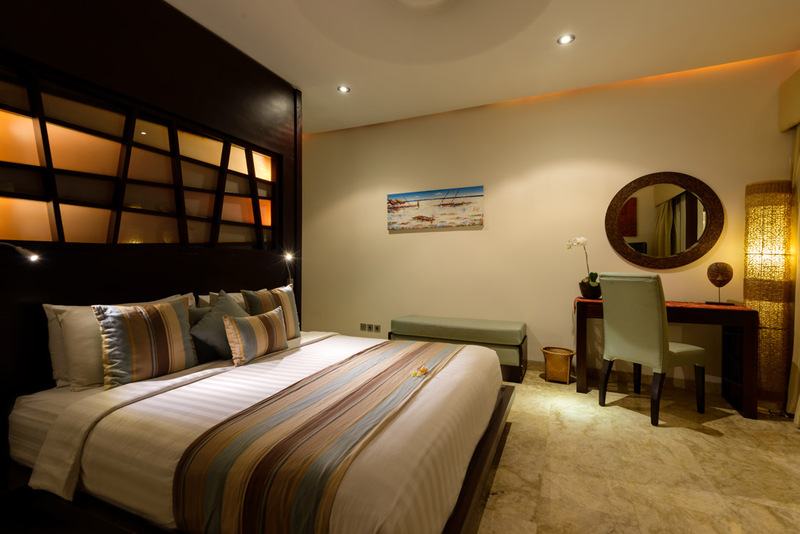 The staff are warm and friendly and there is 24 service with a concierge desk as well. 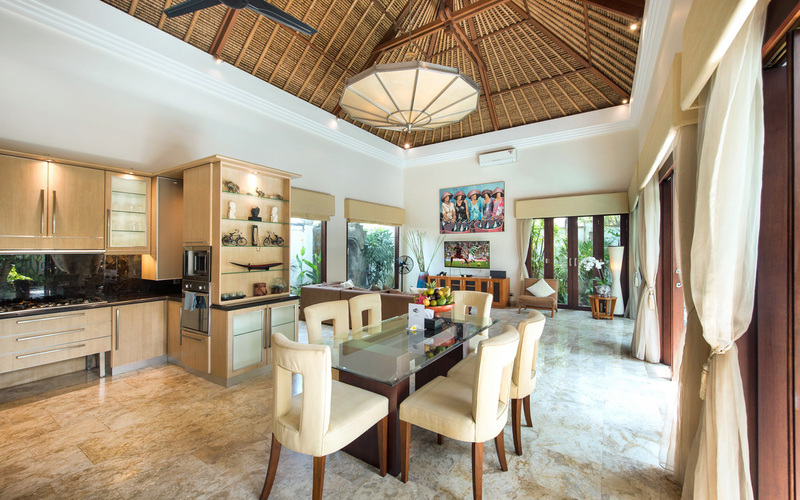 This is one of the best villa rentals in Seminyak and is incredibly good value for a family or group holiday. 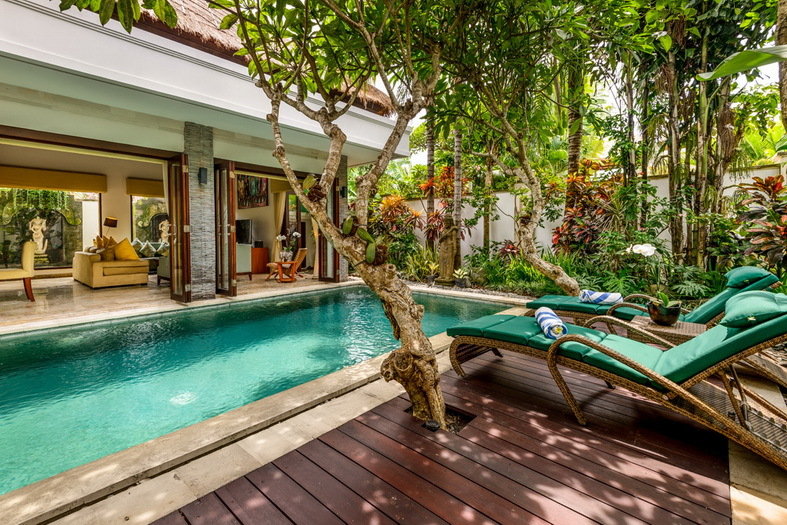 As you enter the villa you step across the calming koi pond, the crystal clear private pool will be the scene of hours of fun and relaxation, the timber pool deck is perfect to soak up the sun’s rays on the rattan recliners under the shade of the frangipanis. 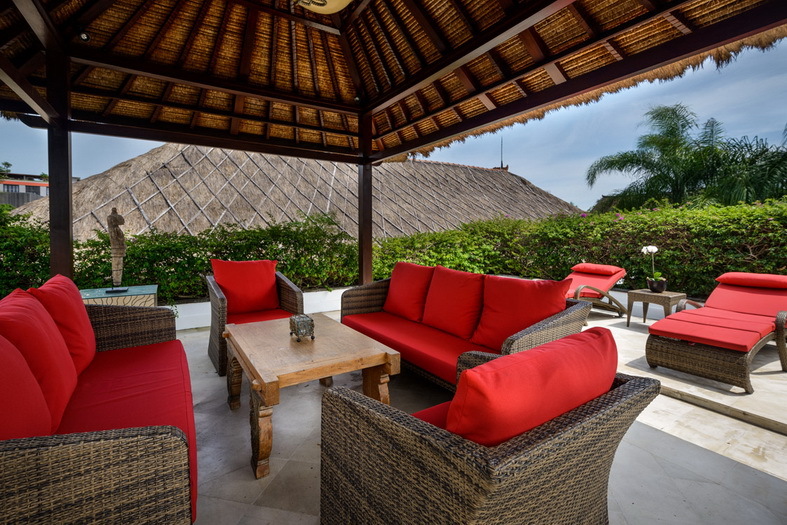 Upstairs on the sun deck relax on the lounge under the bale and enjoy sunset time together. 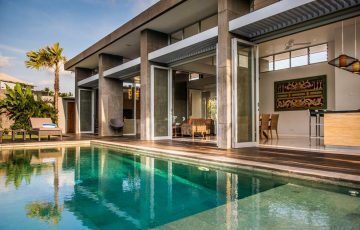 Bi-folding doors run the length of the pool so you can create the perfect indoor/outdoor environment, enjoying the garden and pool as you share meals at the dining table or relax on the large sofa to watch a movie or maybe some live sport on the cable TV. 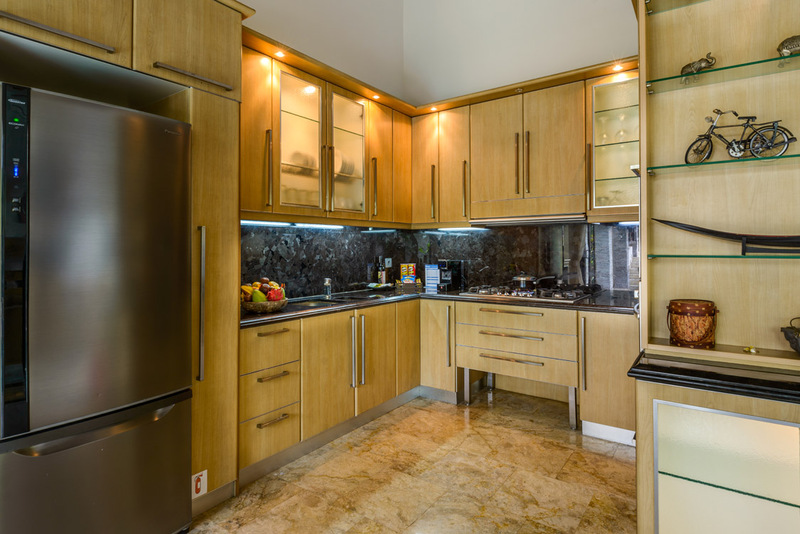 The room is air-conditioned and has a well equipped kitchen to cater to all your catering needs. 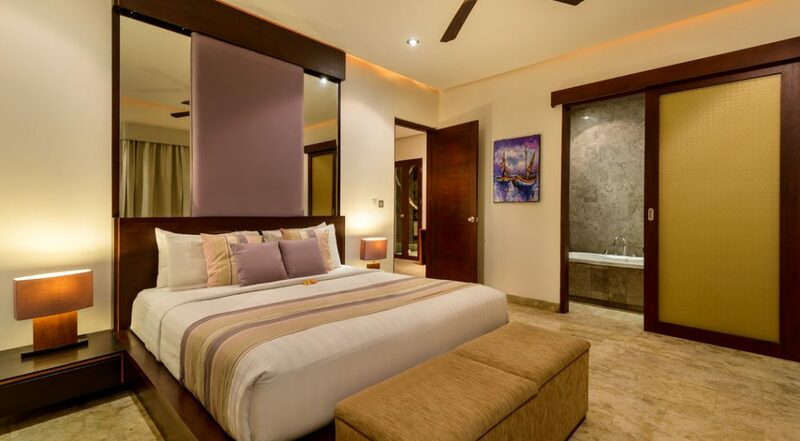 The master bedroom with its king size bed and marble floors is very comfortable, choose to use the ceiling fan or AC. 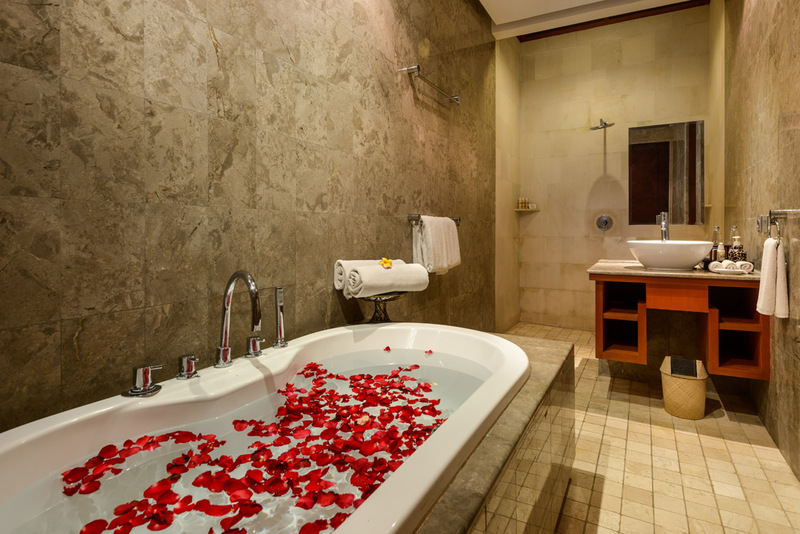 The room also features a plasma TV, writing desk and both a rain shower and soaking tub in the en-suite. 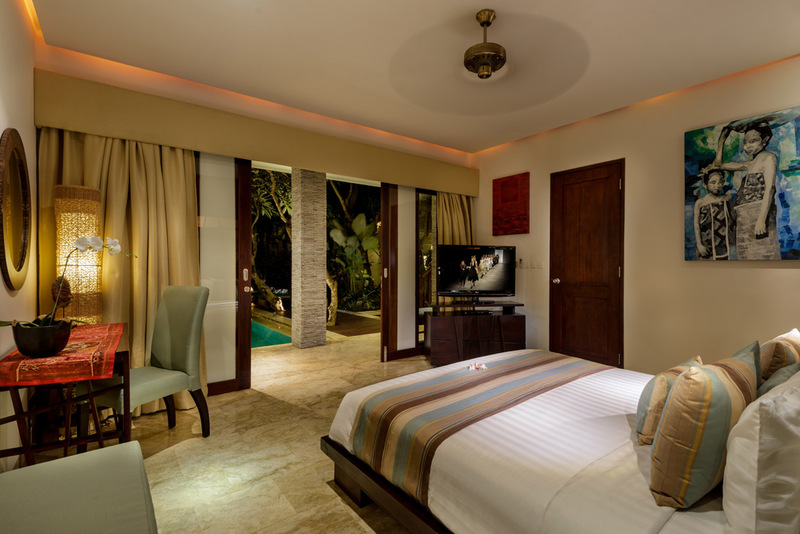 The first guest room offers a king sized bed and the third room twin beds, easily converted to a double bed. 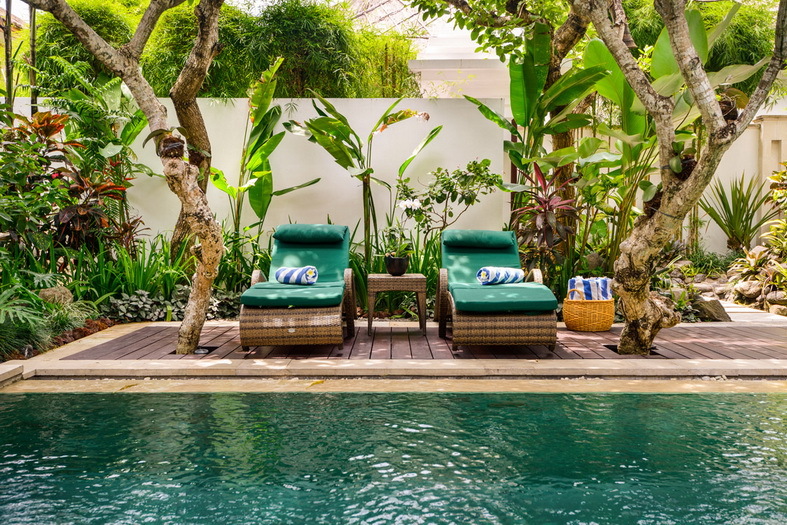 At Villa Siam you will enjoy the security of a private gated estate, a 24-hour concierge service, daily breakfasts of your choice and the added bonus of 24-hour room service with private in-house catering services. 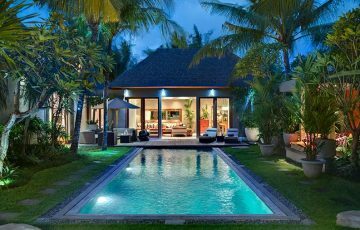 The villa is just 400 meters from Ultimo Italian restaurant, which is basically the center of Jalan Oberoi, “Eat Street”. 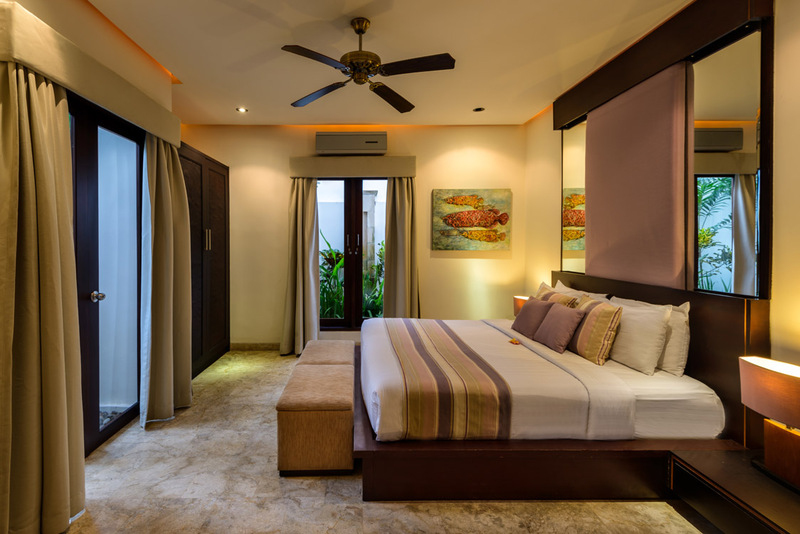 You can walk to all the most popular spots such as Ku De Ta, Potato Head, Kynd ( vegan cafe), Mama San, Red Carpet, Sisterfields, Motel Mexicola, Monsieur Spoon, Grocer & Grind and La Luciola to mention a few. 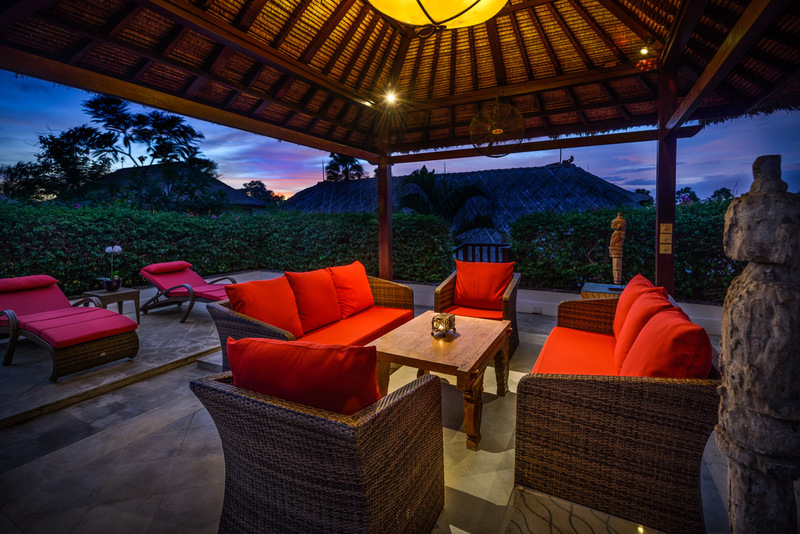 Nearer to the Villa, Happy Chappy’s offers tasty Chinese Food and Settimo Cielo is an Italian fine dining experience to consider. 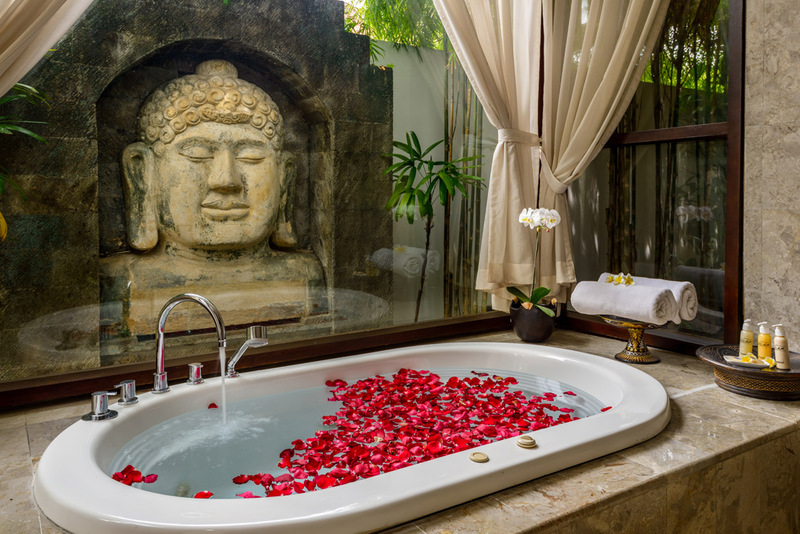 With all these amazing features with warm, friendly & courteous staff, plus your in an central location, Villa Siam ticks all the right boxes for a fantastic holiday in Bali. 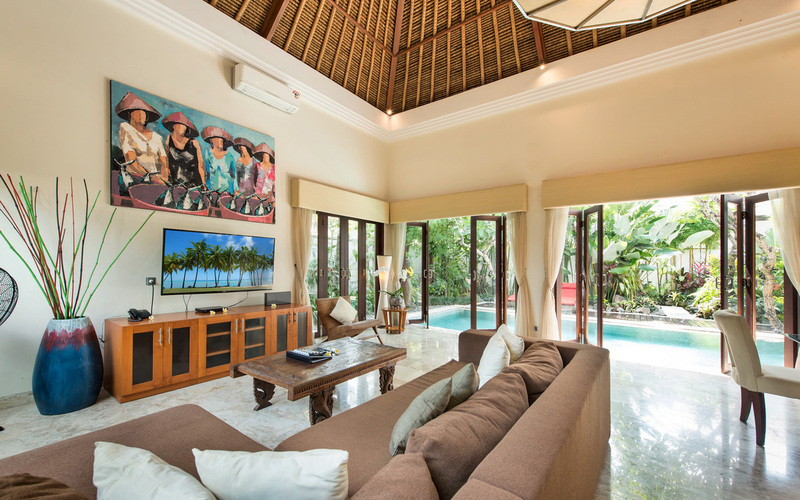 To view other wonderful Seminyak villas or our full range of Bali villas that are near Eat Street please browse this website or contact our reservation team. 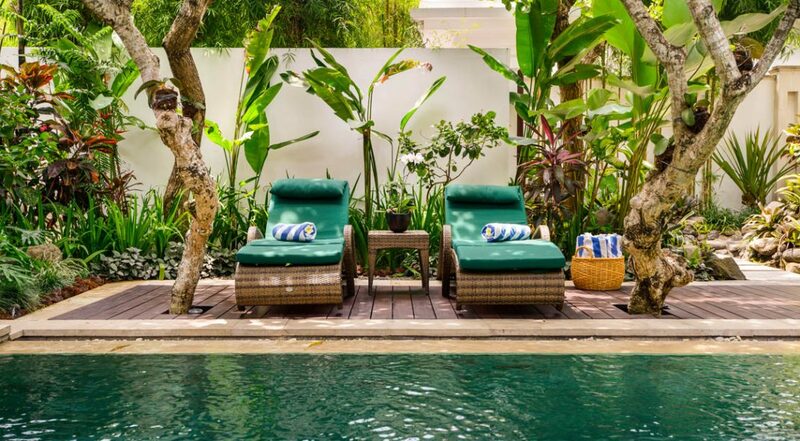 This is a popular Seminyak villa rental so please book Villa Siam well ahead, especially if your planning a trip to Bali during the Australian school or public holidays. 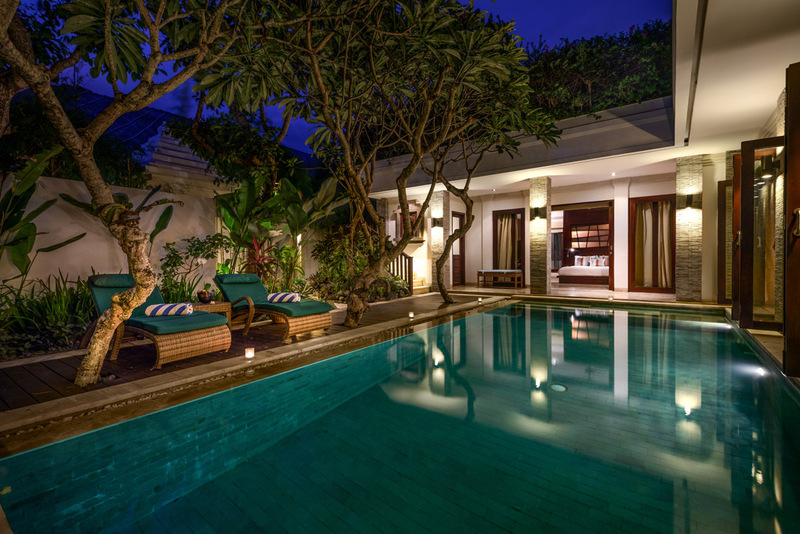 We stayed here over the Christmas period and I just wanted to let you know that we have had a wonderful time staying in Villa Siam. This was exactly what we needed. 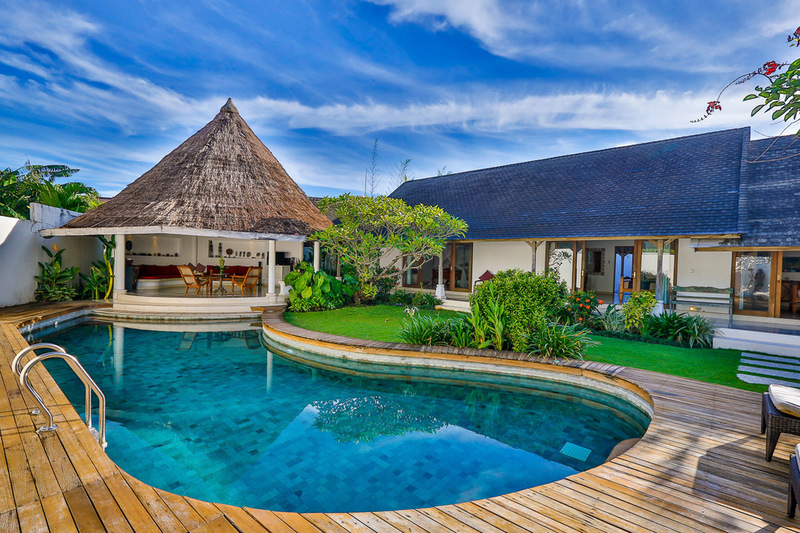 Made & Ketut looked after us very well and were warm, friendly and always laughing and I will definitely be back. 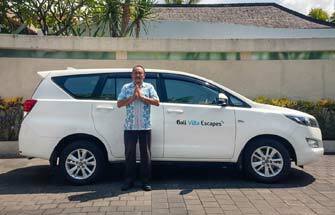 I just want to give a huge thanks to the team at Bali Villa Escapes for making this happen for me and my family so quickly. 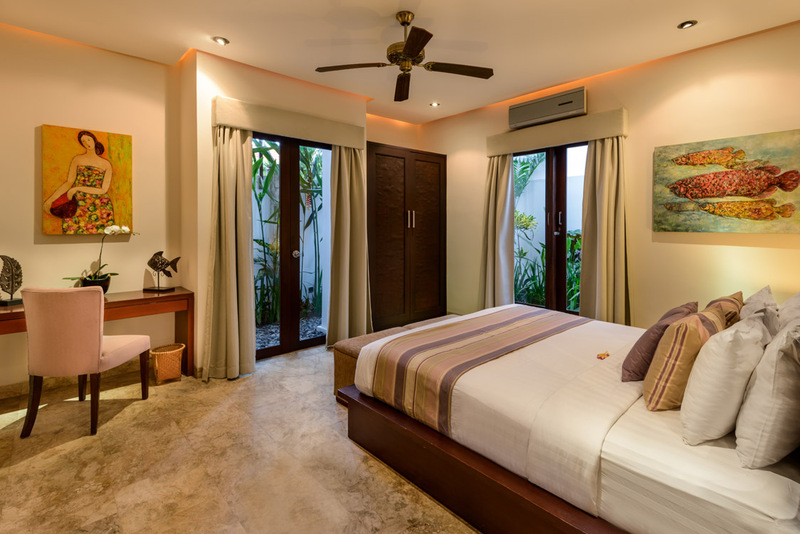 We stayed here for a week with our 2 children and from the moment we arrived we knew we had made the right decision. All we can say is WOW! 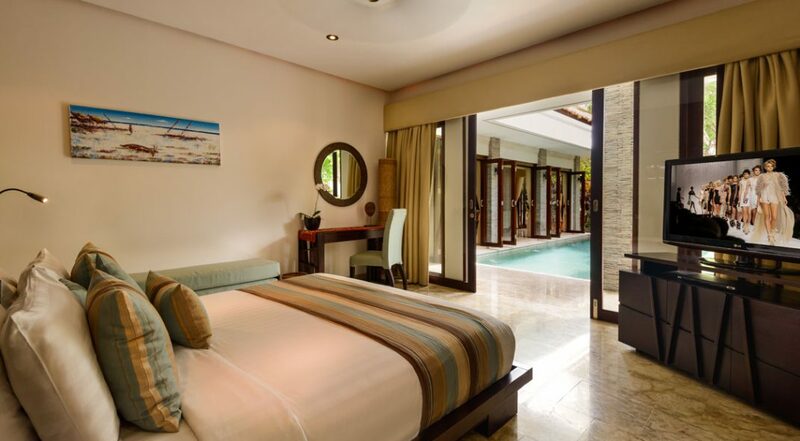 The rooms and bathrooms were sensational so were the pool and garden areas. It was absolutely perfect for the 4 of us. 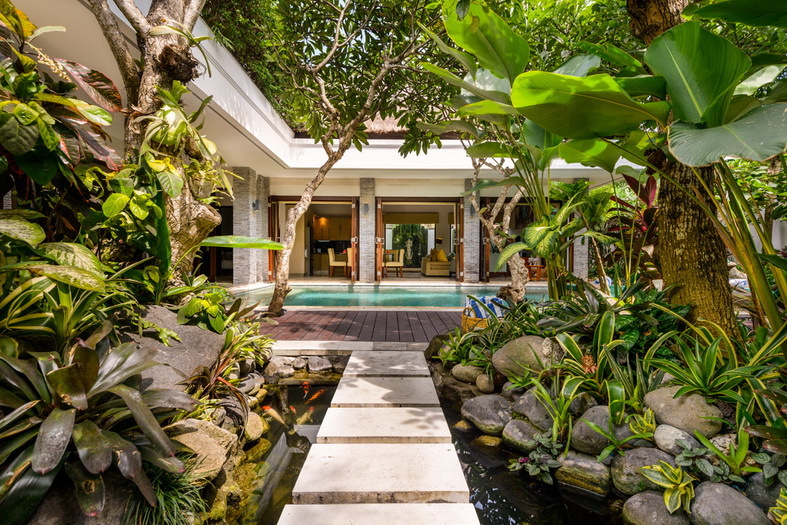 The staff came around every morning to cook us breakfasts and clean the villa while we went out for a walk to explore Seminyak's main street which was literally 2 minutes away. 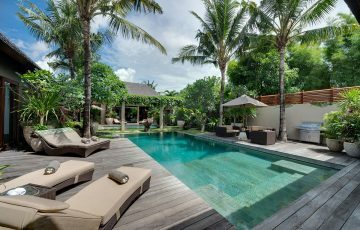 At night it was really easy to go to all those fantastic restaurants (which were great for the kids - such as Happy Chappy) and during the day we generally relaxed by the pool or went island exploring. Villa was a good launch point. 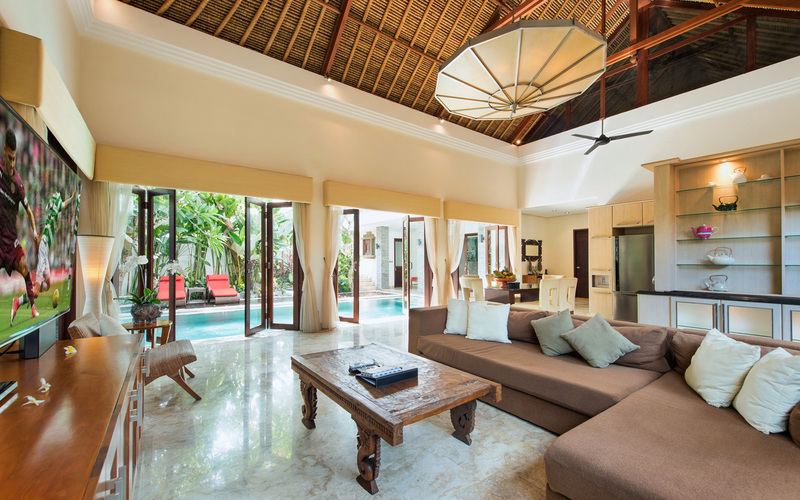 This was an incredible villa in a really central location and I would thoroughly recommend this to any family or group wanting first class service. An amazing location and seriously wonderful service and attention by the friendliest staff - they made the most tasty breakfasts!. 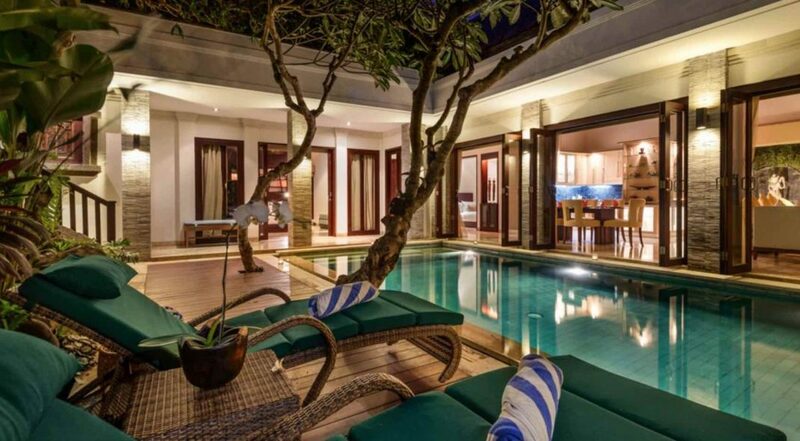 Really stunning villa with a Balinese atmosphere yet contemporary style. 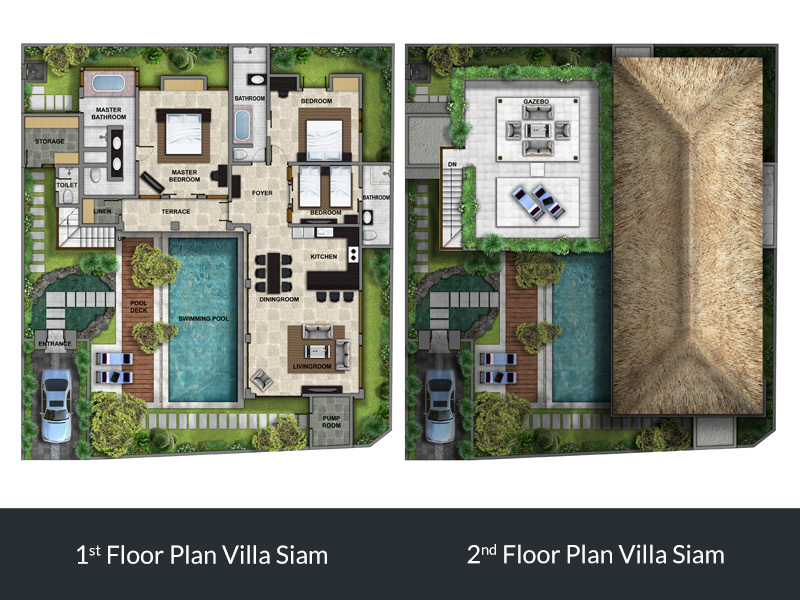 I highly recommended Vila Siam for group of 6 friends or family - you will really love this place! 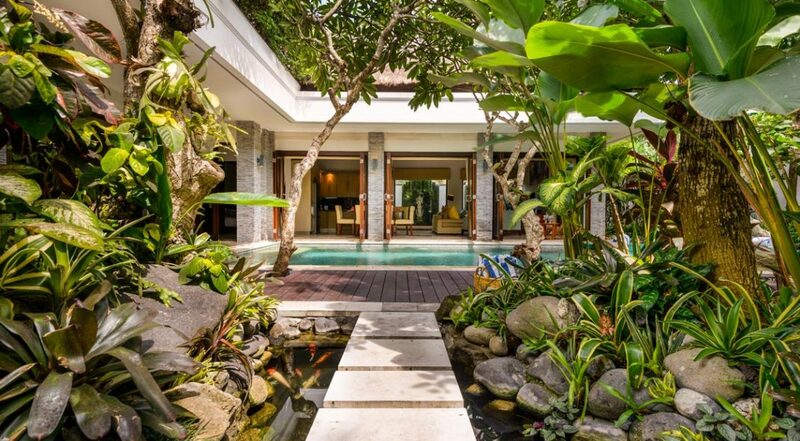 Fabulous villa with everything we could have possibly wanted - it's so much better than the photos. 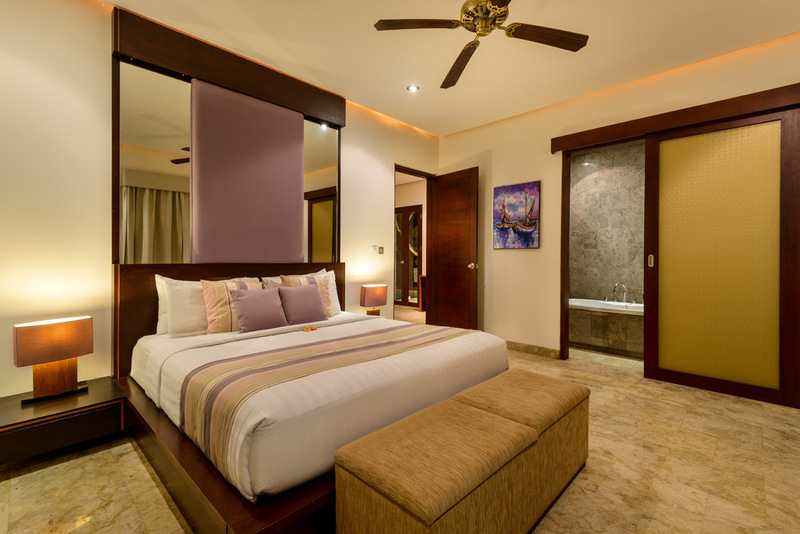 Our family highly recommends staying here. 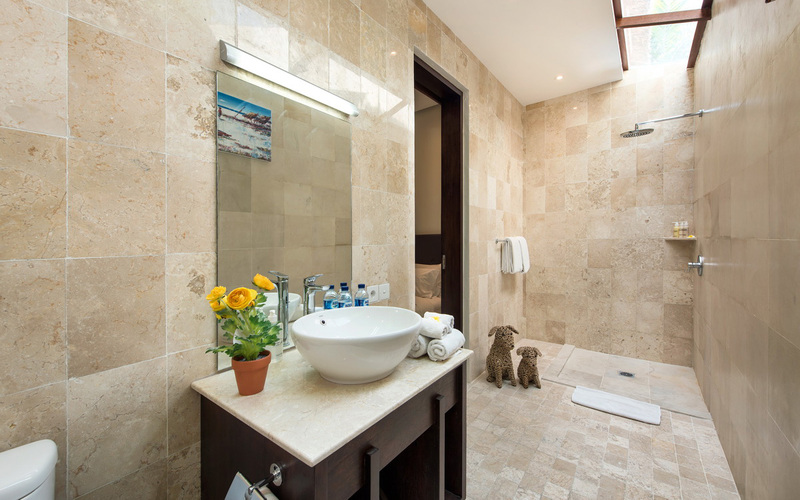 We were completely surprised by the space and cleanliness of the villa. It was spotless. 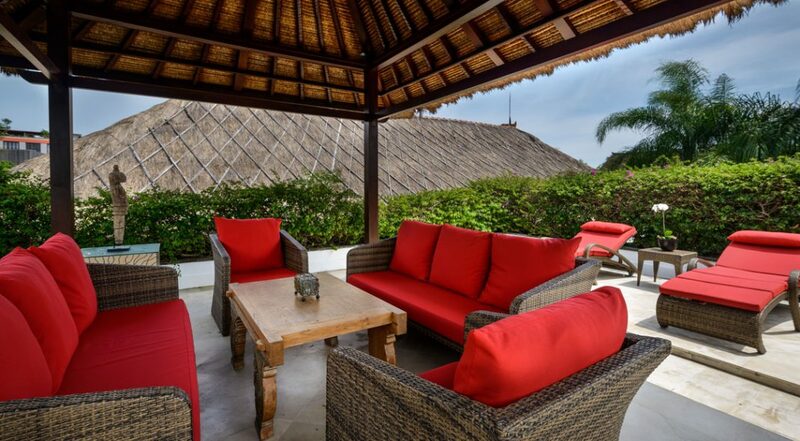 Perfect location, great staff and a really relaxed atmosphere. We spent 9 days here and to be honest it wasn't enough. 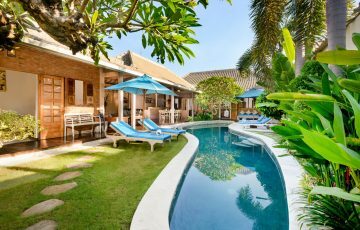 More than happy to recommend this villa for the great value and fantastic service. 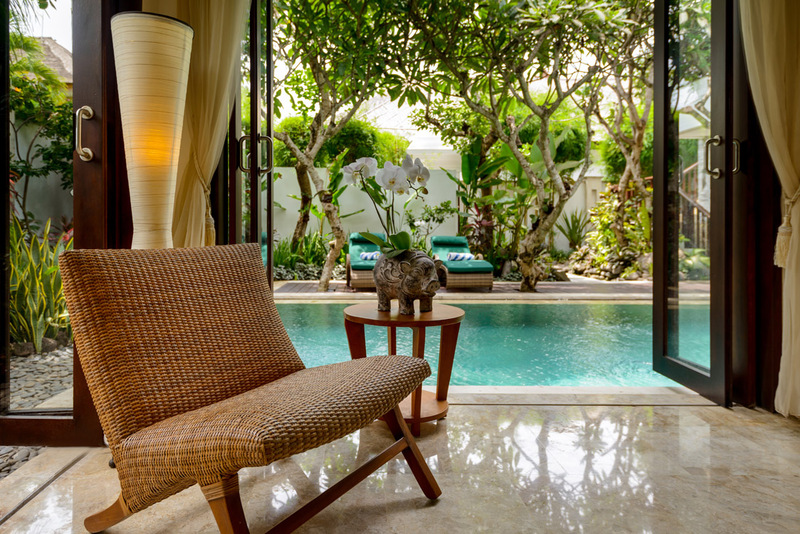 One of the better locations in Seminyak with fabulous service and security - this is exactly what we wanted! 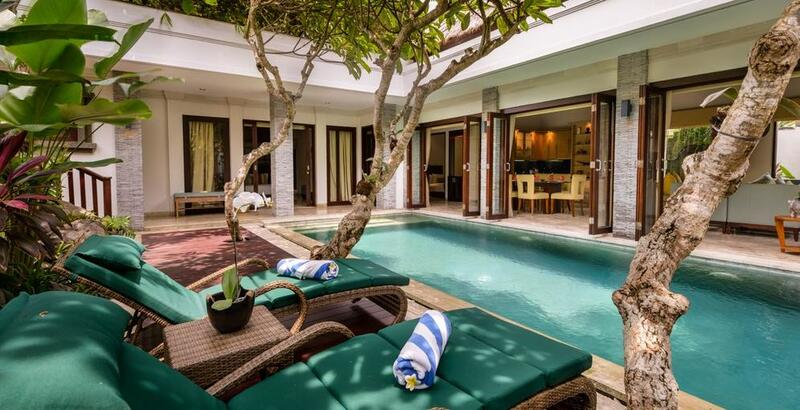 Gorgeous villa with a lovely Balinese charm. 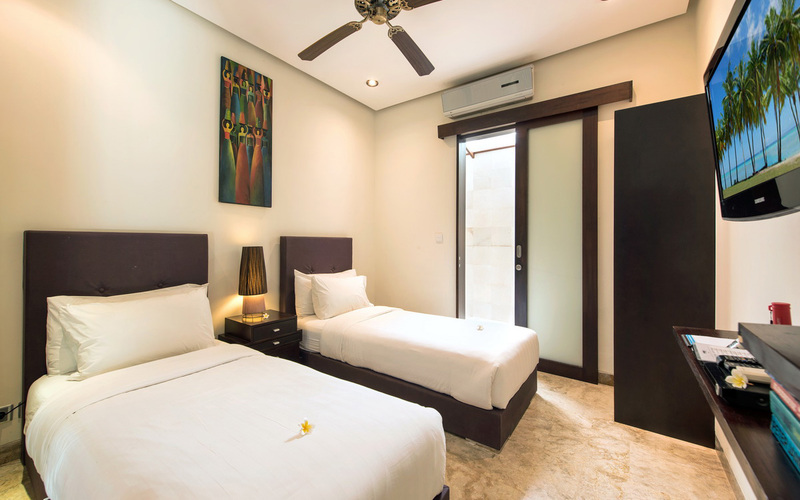 Definitely recommended for group of 6 friends or a family wanting to be close to so many fun things in Seminyak. 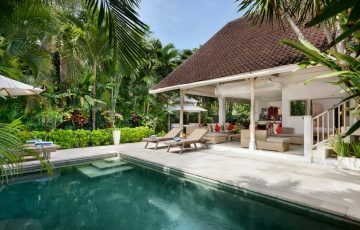 What a great place to spend a week - thanks to everyone at Siam for such a wonderful holiday.